← FISH TAG – WINE RUNDOWN! 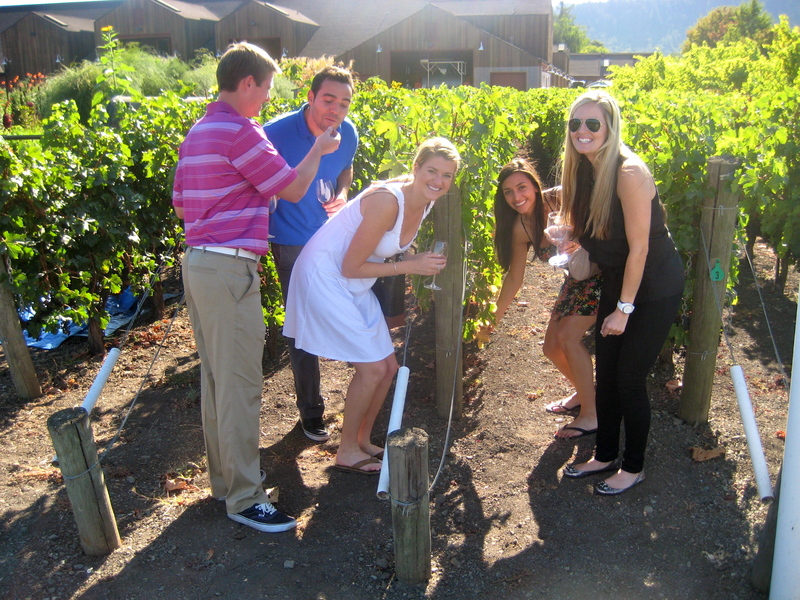 I took an amazing trip to San Francisco in October during “Fleet Week” where we carved out a day to travel to Napa to taste the finest of wines! 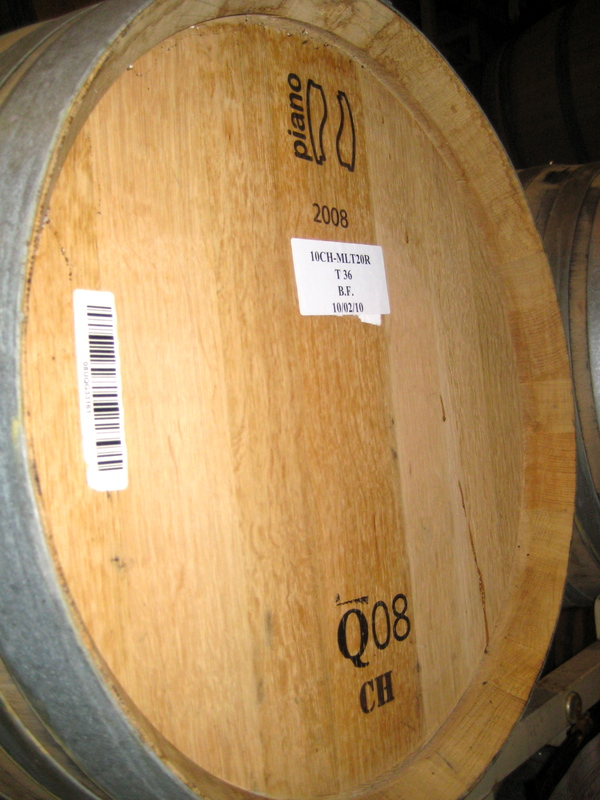 We were lucky enough to have a private tour of Cakebread Cellars with the lead educator of the winery. We were able to taste the grapes right off the vine, smell the oak of the barrels while the wine fermented, see the grapes full with rich color, and tasted the most magnificent reds and whites I have ever tasted. The spirit and and history that you feel when you are circling the vineyard sipping on a Chardonnay on a sunny fall day really takes you over and you get lost in the scenery that surrounds you. Beautiful mountains and green acres of what will soon be in a glass at your finest dinner party is what we experienced… Throughout our tour we sipped on a Merlot, Chardonnay, Cabernet Sauvignon and many more. Next time you go to Napa go to Cakebread and enjoy the most amazing wines I’ve tasted thus far in my journey through wine! We also received a bottle of one of their finest reds that I have yet to try… a 2003 Merlot, Cabernet Franc, and Cabernet Sauvignon…. Any suggestions on when to open it? Of course a truly remarkable evening it will be!! Infamous bottle gifted - Have yet to open it :)yum! Ceiling made out of Cakebread Corks! Had a nice glass of what had turned into chunky grape juice last week. Oh and if you need help polishing it off you know who to ask hehe. 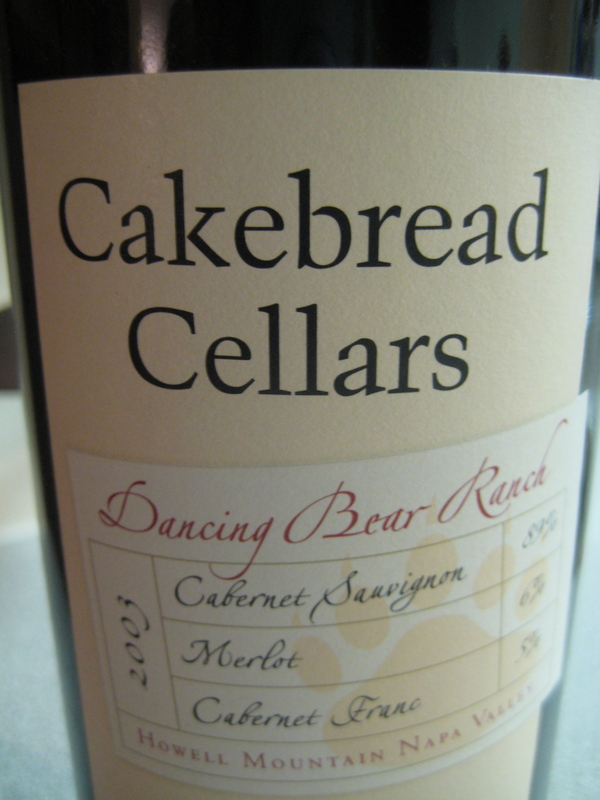 I’ve been to Cakebread before and it is a great vineyard. I’m supposed to head West at some point and I’d love to make a return visit. If you bring some back I’ll gladly share a drink with you .